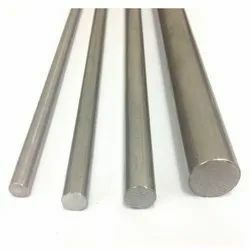 Our range of products include 431 stainless steel round bar, 316 stainless steel round bar, 410 stainless steel round bar, 17-4 ph stainless steel round bar, 304 stainless steel round bar and 310 stainless steel round bars. As an acclaimed undertaking of the business, It is included in offering a limitless exhibit of Stainless Steel 410/420/430/431/440 A, B & C/446 Round Bars. 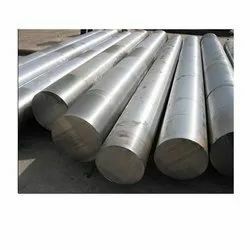 We manufacture these Stainless Steel 410/420/430/431/440 A, B & C/446 Bars utilizing best nature of materials as a part of going along by method for the finest quality measures. Alloy 420 is a hardenable, martensitic stainless steel that is a change of Alloy 410. Like 410, it contains at least 12% chromium, sufficiently adequate to give consumption safe properties. Alloy 420 has higher carbon content than Alloy 410 which is intended to upgrade the quality and hardness attributes. Martensitic stainless steels are intended for high hardness and now and again different properties are to some degree traded off. Corrosion resistance is lower than the regular austenitic evaluations and their valuable working reach is constrained by their loss of flexibility at below zero temperatures and loss of quality by over-treating at hoisted temperatures. Grade 430 is ferritic, straight chromium, non-hardenable evaluation, joining great erosion resistance and formability attributes with helpful mechanical properties. Its capacity to oppose nitric corrosive assault allows its utilization in particular substance applications yet car trim and machine segments speak to its biggest fields of use. Grade 440C Stainless Steel is a high carbon martensitic stainless steel. It has high quality, moderate erosion resistance, and great hardness and wears resistance. 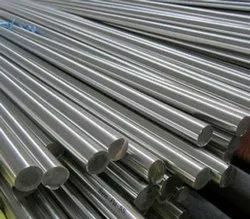 We are one of the leading manufacturers, suppliers, and exporters of the high quality of SS 316 Round Bar to our valuable customers. These products are precisely designed and constructed by superior quality raw materials and sophisticated machinery. Our bars are highly appreciated for their seamless finish, rigid construction and abrasion resistance. As an acclaimed undertaking of the business, It is included in offering a limitless exhibit of Stainless Steel 410/420/430/431/440 A, B & C/446 Round Bars. 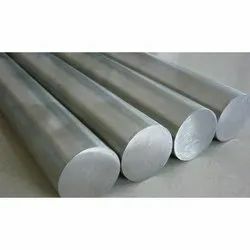 We manufacture these Stainless Steel 410/420/430/431/440 A, B & C/446 Bars utilizing best nature of materials as a part of going along by method for the finest quality measures. Alloy 420 is a hardenable, martensitic stainless steel that is a change of Alloy 410. Like 410, it contains at least 12% chromium, sufficiently adequate to give consumption safe properties. Alloy 420 has higher carbon content than Alloy 410 which is intended to upgrade the quality and hardness attributes. Martensitic stainless steels are intended for high hardness and now and again different properties are to some degree traded off. Corrosion resistance is lower than the regular austenitic evaluations and their valuable working reach is constrained by their loss of flexibility at below zero temperatures and loss of quality by over-treating at hoisted temperatures. Grade 430 is ferritic, straight chromium, non-hardenable evaluation, joining great erosion resistance and formability attributes with helpful mechanical properties. Its capacity to oppose nitric corrosive assault allows its utilization in particular substance applications yet car trim and machine segments speak to its biggest fields of use. Grade 440C Stainless Steel is a high carbon martensitic stainless steel. It has high quality, moderate erosion resistance, and great hardness and wears resistance. Grade 440C is fit for accomplishing, after warmth treatment, the most astounding quality, hardness and wear resistance of all the stainless compounds. Its high carbon substance is in charge of these qualities, which make 440C especially suited to such applications as metal rollers and valve parts. Grade 440A and 440B Stainless Steels, on the other hand, have similar properties - except for a slightly lower percentage of carbon in grade 440A. As an acclaimed endeavour of the business, It are included in offering an immense exhibit of Stainless Steel 15-5PH & 17-4PH Round Bars to our local and worldwide customers. Stainless Steel 15-5 is precipitation solidifying martensitic stainless steel intended to have a more prominent sturdiness than 17-4 ph stainless steel. It is utilized as a part of utilization requiring better erosion resistance and transverse properties contrasted with other comparative martensitic grades. Quality and strength fancied can be changed by calm reach in the warmth treatment process. Our 17-4 PH Stainless Steel (SS) is precipitation solidifying martensitic stainless steel. A common use is found in applications requiring high quality and a humble level of corrosion resistance. Quality and durability craved can be controlled by a mild extent in the warmth treatment process. Our customers can benefit these Stainless Steel 15-5PH & 17-4PH Round Bars & Rods at the most ostensible costs. 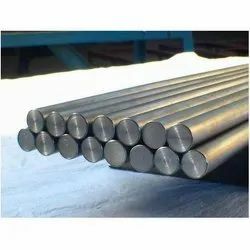 As for national and worldwide nature of crude materials, we additionally offer these Stainless Steel 15-5PH & 17-4PH Round Bars & Rods in redid sizes and thicknesses according to particular requests by our regarded customers at business sector driving costs. Being the reckoned names in the industry, we offer an exceptional range of SS 304 Round Bars that cater to diverse requirements of industrial and commercial applications. Our entire product range has high tensile strength and is durable in nature. These 310 Stainless Steel Round Bars are supplied in accordance with the predetermined global standards. 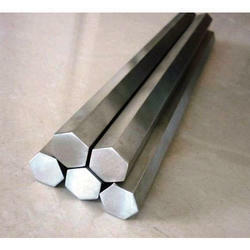 We are the renowned supplier of these SS 310 Round Bars and are appreciated for unparalleled quality and best performer. These 310 stainless steel round bars are manufactured using good quality raw material sourced from reliable. 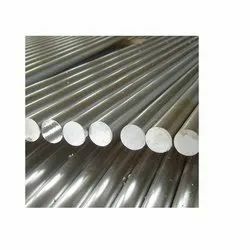 As an acclaimed endeavour of the business, It are included in offering an immense exhibit of Stainless Steel 347/347H Round Bars(SS 347/347H Round Bars) to our local and worldwide customers. 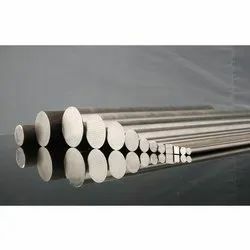 Known for impervious to general corrosion, crevice corrosion, intergranular assault, setting and push consumption splitting, our scope of Stainless Steel 347/347H Bars (SS 347/347H Bars)are broadly utilized by our customers spread over the globe. 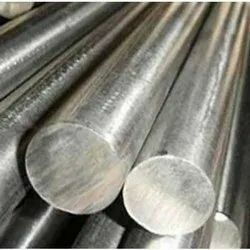 Known for impervious to general corrosion, crevice corrosion, intergranular assault, setting and push consumption splitting, our scope of Stainless Steel 347/347H Bars (SS 347/347H Bars)are broadly utilized by our customers spread over the globe. As an acclaimed undertaking of the business, It included in offering a limitless exhibit of Stainless Steel 410/420/430/431/440 A, B & C/446 Round Bars. 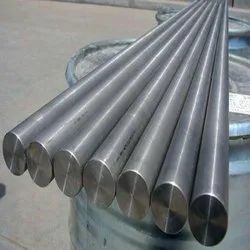 We manufacture these Stainless Steel 410/420/430/431/440 A, B & C/446 Bars utilizing best nature of materials as a part of going along by method for the finest quality measures. Alloy 420 is a hard enable, martensitic stainless steel that is a change of Alloy 410. Like 410, it contains at least 12% chromium, sufficiently adequate to give consumption safe properties. Alloy 420 has higher carbon content than Alloy 410 which is intended to upgrade the quality and hardness attributes. Martensitic stainless steels are intended for high hardness and now and again different properties are to some degree traded off. Corrosion resistance is lower than the regular austenitic evaluations and their valuable working reach is constrained by their loss of flexibility at below zero temperatures and loss of quality by over-treating at hoisted temperatures. 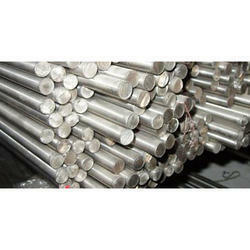 430 Stainless Steel Round Bar are available in different types such as Stainless Steel 430 Round Bars. 430 Stainless Steel Round Bars, Stainless Steel UNS S43000 Round Bars & Bars, Stainless Steel 430 Bright Bar & Rods, Stainless Steel DIN 1.4104 Round Bars & Rods, Stainless Steel UNS S43000 Bars, Stainless Steel 430 Polish Bars, Stainless Steel 430 Black Bar, Stainless Steel 430 Forged Round Bar Exporters Stainless Steel 430 Round Bars are delivered by a mix of the strategies of rolling and manufacturing. While the bars are being produced they are persistently pivoted to make an even surface over the bar. This has the advantages of having the accuracy building required from a moved bar and the quality gave in a manufactured bar. 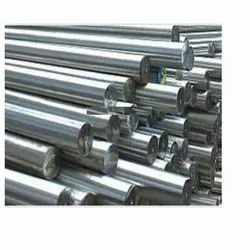 As an acclaimed venture of the business, It are included in offering an incomprehensible exhibit of Stainless Steel 309/310/310S Round Bars (SS 309/310/310S Round Bars) as a producer, exporter, stockiest and supplier to our household and worldwide customers. 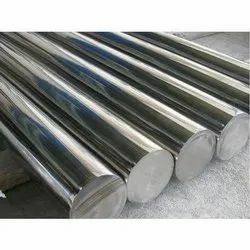 Stainless Steel 309/310/310S Bars (SS 309/310/310S Bars) are utilized for various commercial enterprises, for example, Food Processing, Chemical Industry, Brewing, Pharmaceuticals, Petrochemicals, and then some. Stainless Steel 309/310/310S Rods (SS 309/310/310S Rods) is utilized for a few applications, for example, in Condensers, Pressure Vessels, Heat Exchangers, Flanges and fittings, Pipelines, Valves, etc. 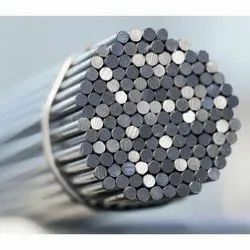 With respect to national and universal nature of raw materials, we likewise offer these UNS S30900/S31000/S31008 Round Bars (otherwise called WNR 1.4845 Bars) in modified sizes and thicknesses according to particular requests by our regarded customers at business sector driving costs. We manufacture a complete range of 321 Stainless Steel Round Bars that are high in quality and reasonable pricing. 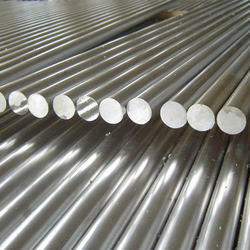 These Stainless Steel 321 Round Bar are chemical and corrosion resistant. These bars find application in railways, automotive and construction purposes. 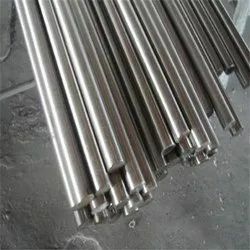 We offer 416 Stainless Steel Round Bar to our clients. As one of the most leading name in this industry, we are engaged in offering a quality assured gamut of 304L Stainless Steel Round Bars. Our provided Bars find their wide applications in various industries like refineries and fertilizer industries. Type 422 Stainless Steel Round Bars provides both outstanding corrosion resistance and exceptional wear resistance. To obtain the best possible strength and wear resistance, oil quench alloy 422 at a temperature between 1800° F and 1950° F. Alloy 422 Stainless Steel is commonly used in dental and surgical instruments. Our products have been graded as the best in global standards as they exhibit immense quality. These round bars are sturdy and durable which have been tested in the roughest conditions. We ensure nominal prices that are well within the reach and are used widely all over the world for various purposes. 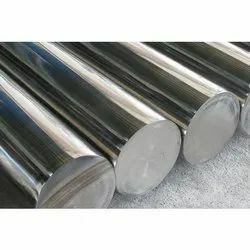 Stainless Steel 316L Bars (SS 316L Bars) are austenitic steels by methods for having higher molybdenum or molybdenum and more nitrogen content that offer significantly more prominent protection from setting, general consumption and hole erosion. 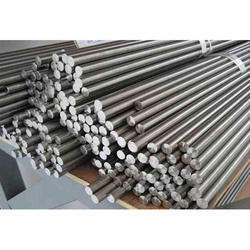 Stainless Steel 316L Rods (SS 316L Rods) is a variation of Stainless Steel 316 and shifts by having a lower Carbon content alongside somewhat bring down yield and rigidities. 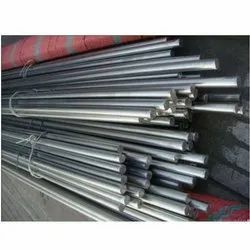 As for national and worldwide nature of crude materials, we likewise offer these UNS S31603 Round Bars (otherwise called WNR 1.4404 Bars) in modified sizes and thicknesses according to particular requests by our regarded customers at showcase driving costs. 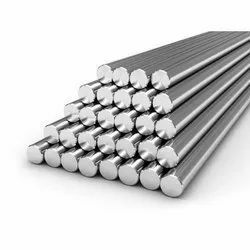 316Ti Stainless Steel Round Bars (SS 316Ti Bars) are utilized as a part of a few enterprises, for example, Brewing, Chemical Industry, Dairy, Food handling, Marine hardware, Petrochemicals, Pharmaceuticals, and that's just the beginning. 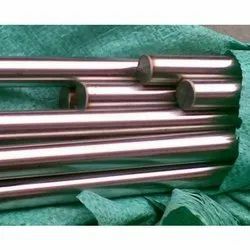 Our Stainless Steel 316Ti Rods (SS 316Ti Rods) are additionally utilized for a few applications, for example, in Condensers, Heat Exchangers, Filters, et cetera. As for national and universal nature of raw materials, we likewise offer these UNS S31635 Round Bars (otherwise called WNR 1.4571 Bars) in modified sizes and thicknesses according to particular requests by our regarded customers at showcase driving costs. We are offering 904L Stainless Steel Round Bars to our clients.